With a presence in 54 markets throughout the U.S., Pulte is the largest home builder in North America. In Arizona alone the company operates four divisions: one in Tucson and three in Phoenix, under the direction of John Chadwick, Arizona division president. With a presence in 54 markets throughout the U.S., Pulte is the largest home builder in North America. In Arizona alone the company operates four divisions: one in Tucson and three in Phoenix, under the direction of John Chadwick, Arizona division president. Meanwhile, Del Webb, which was one of the first big home builders to recognize Phoenix's potential as a retirement Mecca, is a brand under the Pulte umbrella. Because the Pulte and Del Webb names are marketed independently, they were considered separate entities for the purpose of the NRS Awards, and both ranked among the top five. 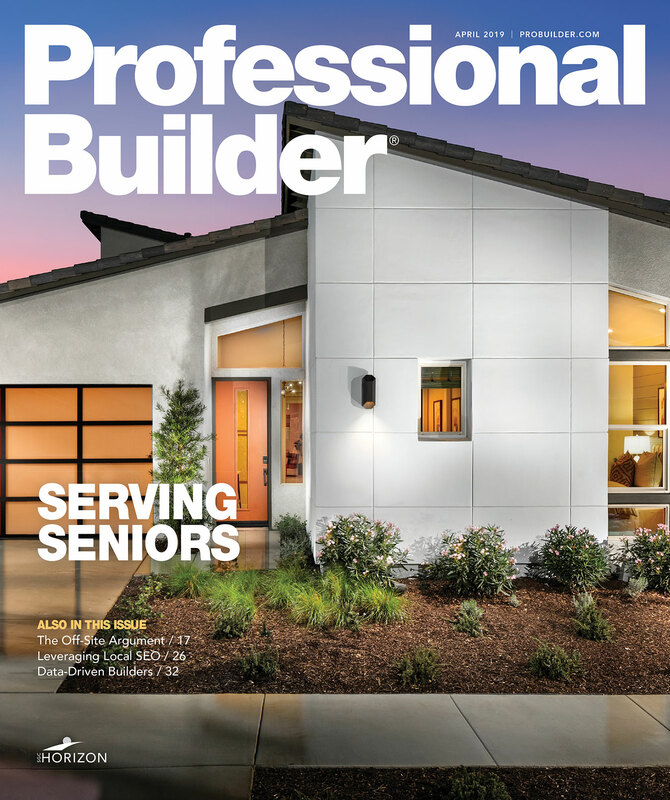 Del Webb ranked second and Pulte ranked fifth among the 41 builders in the Phoenix market. John Chadwick, Arizona divison president. Pulte embarked on a new customer relations program a few years ago focused on the idea of creating "homeowners for life." At the cornerstone of the program is the simple idea that everyone in the company, including the trades, must treat home buyers the way they want to be treated. "We work hard to hire the right people at Pulte," says Reed Graham, vice president of customer relations. In addition to ensuring that its staff is customer-focused, Pulte uses technology to ensure warranty repairs are efficiently handled. When visiting a customer's home, service agents carry hand-held computers to quickly process orders using a touch screen and streamline the warranty process. The computers generate work orders back at the office. "There is a direct correlation between how long it takes to get a repair done and how happy the homeowner is," says Graham. Pulte offers a 1-2-5-10 warranty. For one year, all workmanship and products in the house are covered. For two years, mechanicals — such as HVAC, electrical and plumbing — are covered. For five years, anything that leaks — plumbing, roof, windows or doors — is covered. And for 10 years, the structure is covered. Like other successful builders, Pulte prefers to treat the walk-through as a celebration, not an inspection. To set the mood, home buyers might come into the home and hear music playing and smell coffee brewing and cookies baking. "It maximizes the customer experience," Graham says. To help set the tone for the walk-through, Pulte uses a magnet posted on the garage door to alert contractors to clean up the area in front of the house. "When workers see the magnet, they know that the home buyers will be coming by, so they move vehicles out of the way, pick up trash and make the area in front of the new home look as nice as possible," says Graham. "The homeowner shows up and there's like a little halo glowing around the house."